One day I looked at the garden and this plant was bare. 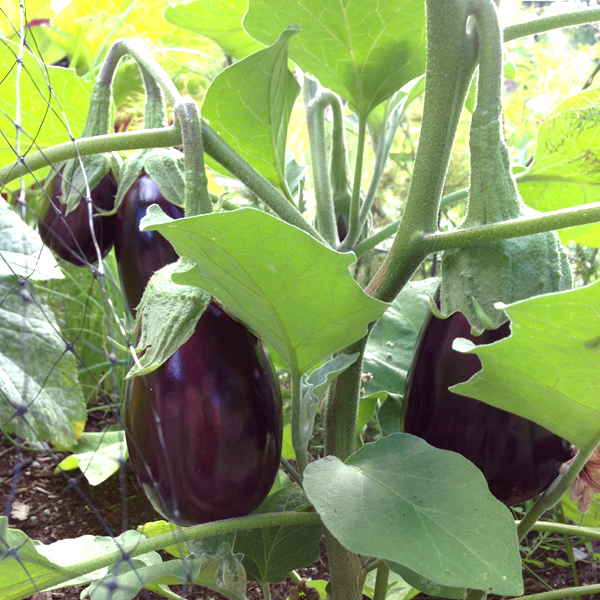 It seemed like overnight these eggplants suddenly appeared. What a surprise sneaky eggplant. 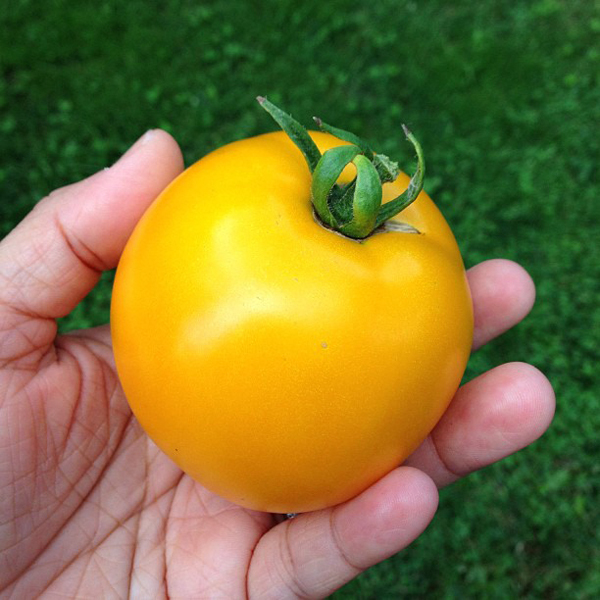 Over in the other raised garden bed, I counted over sixty tomatoes on our four tomato plants. 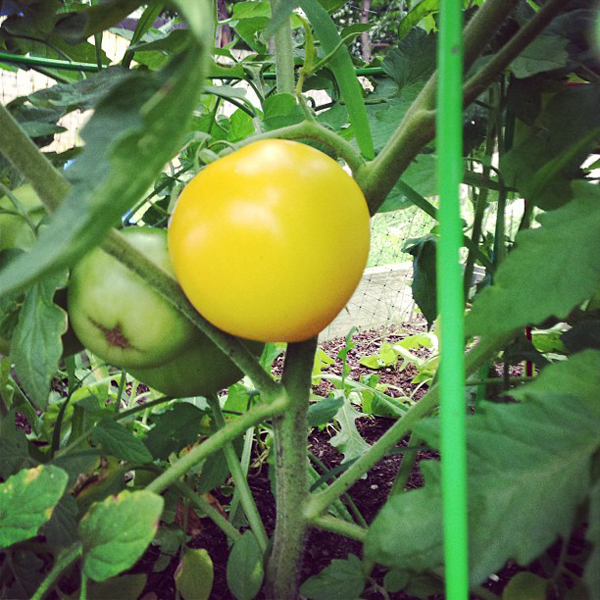 The first one to ripen was a Lemon Boy yellow tomato. What a beaut! When the rest of them decide to turn ripe we will be swimming in tomatoes! 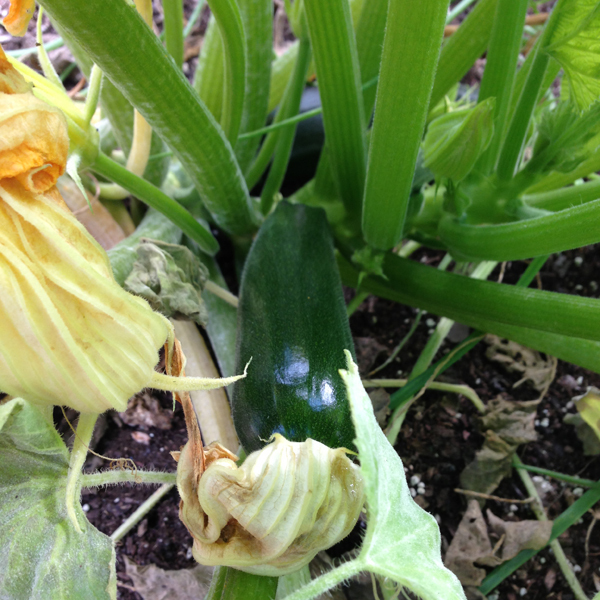 The zucchini are finally starting to grow after a slow start this summer. There will be a few more loaves of zuke bread to come this season!